Add 13 new species of extinct trees are found around the world. 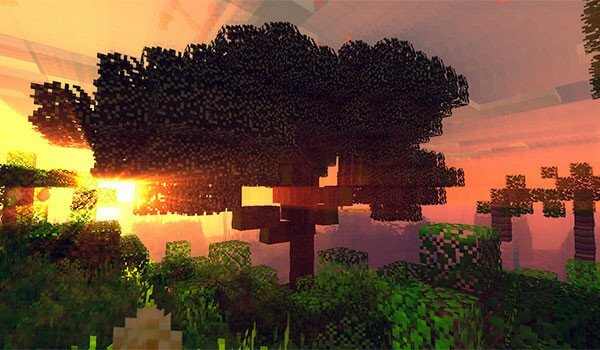 Ancient Trees 1.7.10 is a mod that adds a total of 13 new species of trees in Minecraft. But these trees will not appear in the generation of worlds, since it comes from trees that were once extinct in the world after a cataclysm. To get these trees you will have to look for the sprouts hidden around the world. To replant these “extinct” trees you can take the sprout wherever you want, maybe in your house, or in your nearest forest. As these are new tree desings and new kinds of wood, you will have new wood decorative blocks with designs and colors unique for each one of these 13 types of trees. How to install Ancient Trees Mod for Minecraft 1.7.10? Paste the “Kore Sample” downloaded file into .minecraft / mods folder. It’s working! Let’s find the most ancient trees in Minecraft!